Why Aren’t Taxes Mentioned In Coupon Matchups? 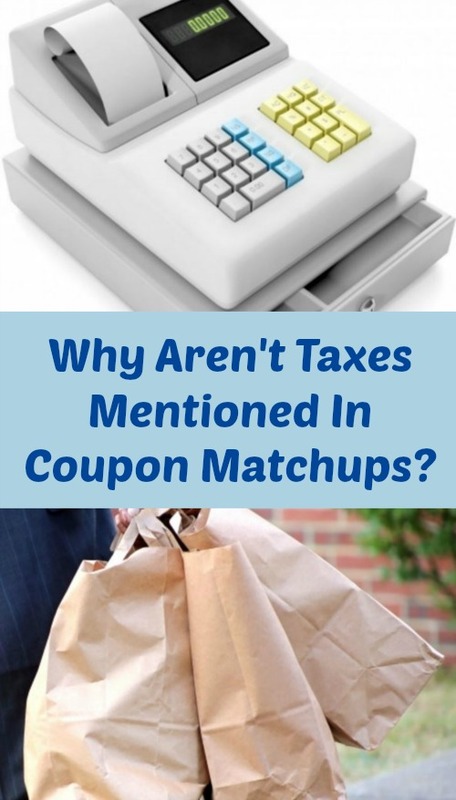 One of the questions that I frequently get asked is “Why aren’t taxes mentioned in coupon matchups?” Let me tell you – the saying goes, nothing can be certain except death and taxes. Taxes are something that we all know we’re going to have to pay, whether at the grocery store or the car dealership. It is a given in this country. That said, taxes are very different in different states. In Chicago, we pay up to 10.25% tax. Oregon appears to have no sales tax (I don’t live there, but that is my understanding from readers and research). If you are in Oregon, you don’t want to hear about my crazy tax amounts! Besides, if taxes were to be included in a coupon matchup, the deal would only be accurate for a select few who happen to live in the place where the site owner lives. Therefore, there are no taxes mentioned in coupon matchups. Keep the savings coming! Read more Couponing Tips here.